Curious about what iBeacons – those small Bluetooth transmitters that can ping you with information when your phone comes into range – can do for you at an airport? At SFO Airport, Cathay Pacific and Lounge Buddy are using the technology to give guests using the airline’s Business and First Class lounge some bonus features – and a chance to win prizes. 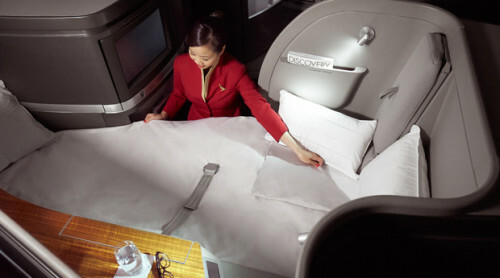 The promotion is linked to the kick-off of Cathay Pacific’s three new weekly flights between SFO and Hong Kong. Starting June 29 and running for 60 days, passengers with the LoungeBuddy App activated on their iPhone will instantly receive information about the day’s food and beverage menu and an overview of the lounge amenities when they enter the Cathay Pacific lounge at SFO. 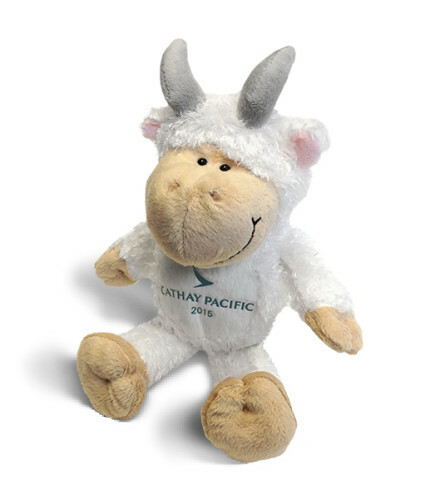 They’ll also be gently urged to check in on social media and share a note on Twitter about the experience for a chance to win a daily prizes of a Cathay Pacific plush goat commemorating the Chinese Zodiac year of the goat. Any lounge user who shares a comment on Twitter or Facebook will be entered to win the grand prize of 60,000 Asia Miles and one round-trip Premium Economy Class ticket to Hong Kong. Cathay Pacific is well-known for its classy and creative airport lounges. The one at SFO (which opened in International Terminal A in 2011) is the carrier’s first and only branded lounge in the U.S. and features the airline’s much-talked-about Noodle Bar. Who gets to use Cathay Pacific’s SFO lounge? First and Business Class passengers departing on Cathay Pacific and oneworld carriers, and members of the Marco Polo Club with Silver Card status and above and oneworld Sapphire or above members.